‘Black Panther’ will be the first film shown in Saudi Arabia cinemas in over three decades, bringing the country’s 35-year ban to an end. Marvel’s record-breaking superhero blockbuster, which has already amassed north of $1.2 billion since launching in February, will herald Saudi Arabia’s return to the cinema world. It will be the first film to be screened to the public in a movie theater in the country since it lifted a 35-year cinema ban. The news makes Disney and its regional distribution partner in the Middle East, Italia Film, the first to officially release a movie in the kingdom as it undergoes dramatic reforms. The film will be given a gala premiere on April 18 in Riyadh at the first AMC-branded cinema, which was announced Wednesday, according to The Hollywood Reporter. The 620-seater theater set to open less than four months after the ban lifting was announced in December. It is a converted symphony hall in the King Abdullah Financial District, and it’s the first of hundreds of cinemas planned to open in the next decade. 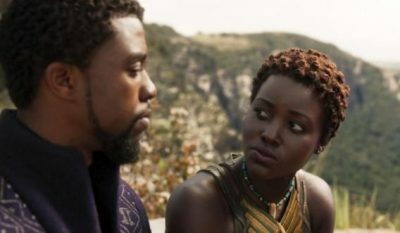 ‘Black Panther’ is set to play for five days in Riyadh and will be swiftly followed by ‘Avengers: Infinity War’ on April 26.